Karolinska Institutet Development projects in rheumatology, such as online patient reporting systems and quality registers. My work involves research and needs analysis, idea generation with Service Design methodology, writing specifications and developing user interface design that enhances the benefits of these systems for the health care staff as well as the patients. Ontilederna (“Joint pain”) is an online screening service aimed at citizens with joint pain that might evolve into some form of rheumatism. It is an intelligent survey that speeds up the primary care process and shortens the time between first symptoms to a diagnosis by a specialist, thereby improving patient health and reducing costs. I created the concept together with researchers at the Karolinska Institute and managed the project. Almega, the Swedish employer and trade organisation for the service sector wanted a new concept for their activities during the giant Almedalen week in July 2013. In collaboration with Phorecast I developed an exhibition concept about professional 3D printers and co-hosted three evening events using our Debateon-format, presenting ideas on how 3D printing will affect the service sector. 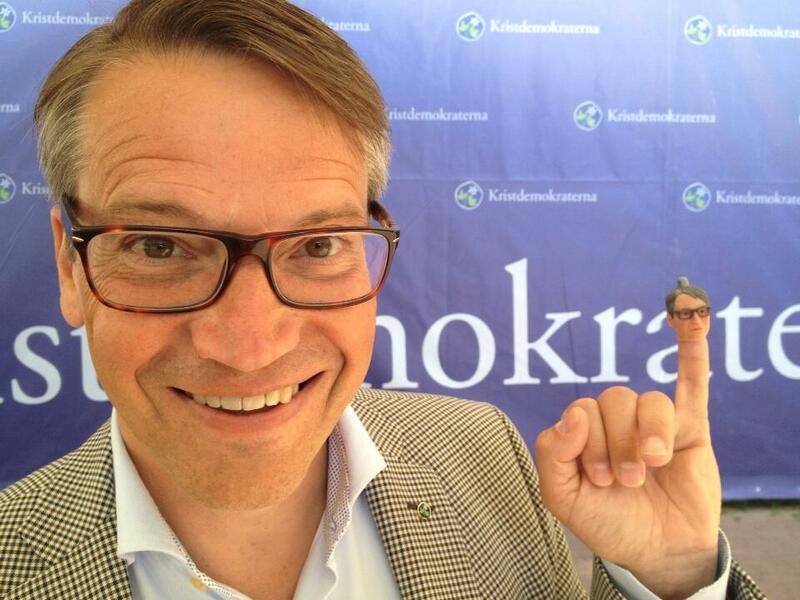 Göran Hägglund, leader of the Krisdemokraterna party happily displays his mini-me that we gave to him. Fredrik Reinfeldt, leader of the Moderaterna party. These heads quickly became collectors items. Phorecast generates new ideas for organizations by customizing teams of innovators, designers, consultants and relevant thinkers with the goal of making sure that vision can become reality. In 2011 I co-organized a 3-day brainstorming workshop for the Swedish trade and employer organisations SACO/Almega/Unionen where we produced scenarios about worklife in Sweden in the year 2022. Robotdalen is a Swedish robotics initiative enabling commercial success of new ideas and research within robotics and automation. My asignment was for the program “technology for independent life”, where I took part in a workshop that developed a core idea of using Microsoft Kinect as a tool for remote individual physical therapy coaching of stroke patients. Based on this I researched similar projects around the world and wrote specifications for an advanced system. I also helped to sign up partners such as Microsoft and several stroke rehabilitation clinics etc. In June 2010 I attended the Rework the World conference, with 1700 entrepreneurs from all over the world, organized by the Tällberg Foundation. I was also moderating one of the workshops; “Rework mechanisms: Communities to promote sustainable change”. See my blog post Reflections from Rework. TED (Technology Entertainment Design) is a world famous yearly conference in USA and other countries, where famous and unknown inspiring people give short talks about “Ideas worth spreading”. 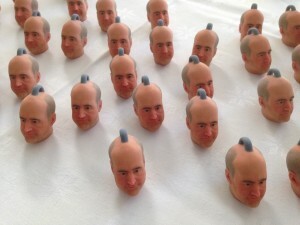 See my blog post on how I enjoy TED. TED wanted to spread their concept and therefore launched TEDx, a concept where anyone can organize a local event based on the TED concept. I found out about this at an early stage and teamed up with my friend Teo Härén, the famous speaker on creativity. In the fall of 2008 we launched TEDxStockholm as one of the first TEDx events in the world. Since then it has exploded, over 400 TEDx events will be organized around the world in 2010. I have moderated five TEDxStockholm events and currently serve in the Advisory Board. I have previously also also been advising several other TEDx organizers in Sweden. Video strategy consulting for the Swedish Patent Office. I did a needs analysis to see what types of videos would be of the biggest benefit for their target groups. Then I produced a general specification for the videos and wrote synopsis for 16 short informational videos. Finally a tender document was produced and online video streaming services evaluated. Founders Alliance, a network for serial entrepreneurs in Stockholm. Business development and IT project management. I created the Founders SpeedMeet concept that was a big hit at the annual Entrepreneur Gala in the Stockholm City Hall. Coach & Capital, I am engaged in this new business angel investor fund since I like their concept: a network of experienced entrepreneurs that offer a streamlined process with both capital and coaching by qualified business coaches.